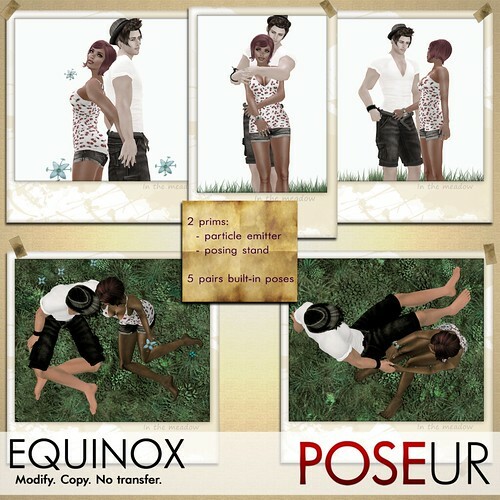 POSEUR brings you the latest EQUINOX pose prop that includes 5 pairs of built-in poses and a particle emitter on a pose stand. The grass prim is included! Are you in a romantic mood? These poses are great for hanging out with a special some one and can be used outdoors or indoors for photography.